grind off the old size and leave the cutter unmarked. 1. Mount the end mill in a universal workhead. 2. Swivel the wheelhead to 89°. place the blade of the gauge on the tooth's cutting edge. the tooth to be ground. wheelhead until the tooth does clear the wheel. grind all the secondary lands. 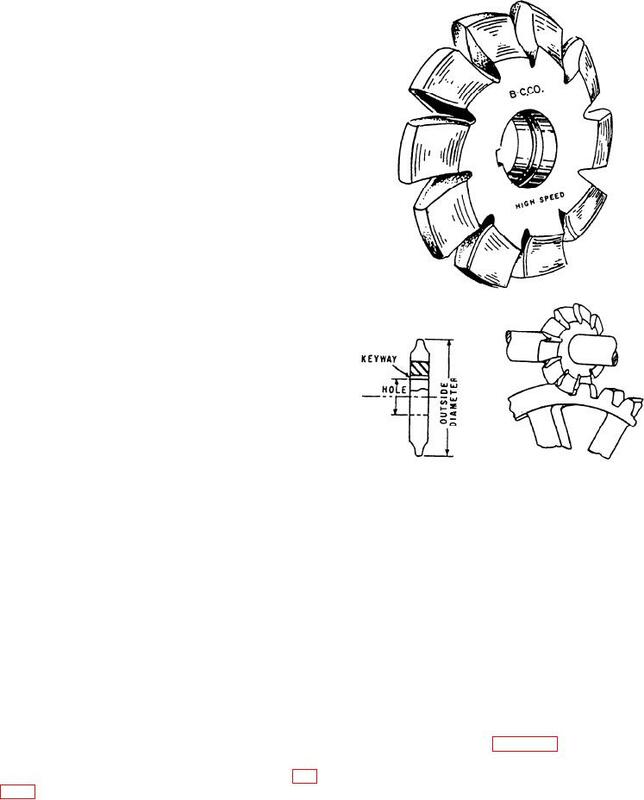 center of the cutter, similar to the teeth of a face mill. to sharpen the cutting faces. workhead or table and are left 1/6 to 1/8 inch wide. To sharpen the end teeth of a shell end mill (fig. the cutting faces are already sharp and ready to use.